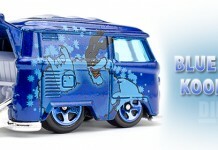 The Hot Wheels Minecraft Minecart… Well, I guess there isn’t much to say about this one. It’s square. It has 4 wheels. 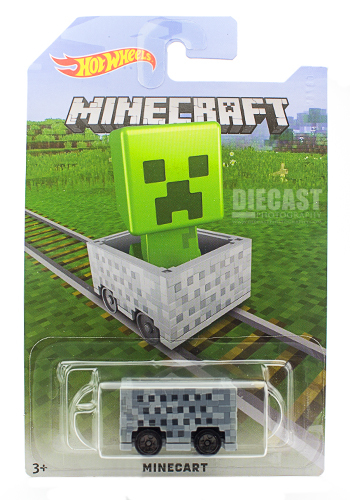 Umm… It’s a Minecart from Minecraft?.?. 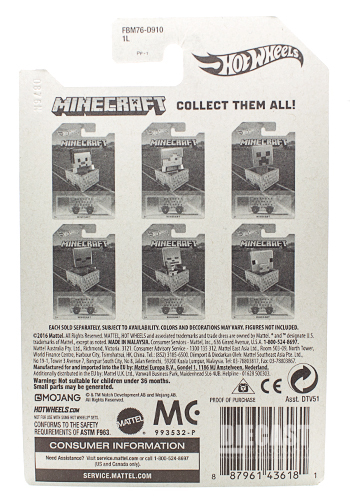 Aside from the standard release, there are 6 different Target Exclusive releases of the Hot Wheels Minecraft Minecart. The only difference between them is the card art. Mattel sure has a great crew working in their marketing department. The cart itself is grey plastic while the base is metal, painted grey. The ‘interior’ is rubber and has a cutout to allow a Minecraft figure to be held in place. Did I mention there isn’t much to say? I’ve got 2 kids at home – this is the only reason ONE of these made it to the photo booth. 😉 There’s plenty of rants out there on this release so I’ll leave it at this. The Hot Wheels Minecraft Minecart isn’t for me but I’m sure there are plenty of people out there that dig it. Collect what you like and like what you collect. I started Diecast Photography because my enjoyment of diecast turned from collecting to photographing. I hope you view this website as a home to some of the best 1:64 diecast photography on the web. Hot Wheels and Matchbox and all the associated design names/logos are official trademarks of Mattel Inc. This site is in no way affiliated with or sponsored by Mattel Inc.
We are always looking for outstanding photography! Send us your images so they can be featured here on Diecast Photography. Don't worry, all rights and ownership will still remain yours. We just want to help you share your work with the world. So, You Want To Be Featured? © 2010-2016 Diecast Photography. All Rights Reserved.